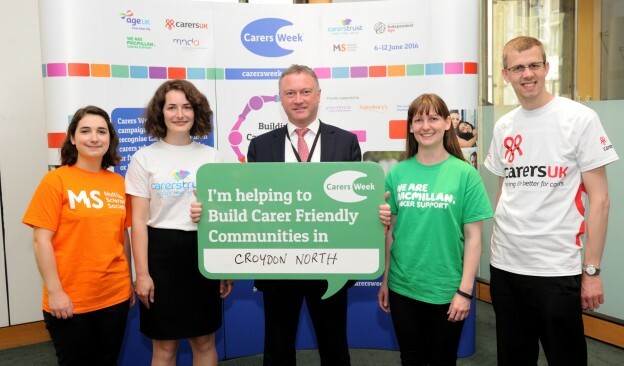 Steve Reed MP has pledged his support to carers in Croydon North as part of Carers Week, which runs from 6-12th June. There are 6.5 million people in the UK who care for a partner, relative or friend. In Steve’s constituency of Croydon North, there are nearly 12,000 carers. Steve’s predecessor Malcolm Wicks was a passionate supporter of carers, and successfully changed the law to formally recognise the role of unpaid carers for the first time. The call comes after research for Carers Week revealed that a combination of inadequate support from local services and a lack of understanding about caring from wider society is having a negative impact on carers’ health, wellbeing, relationships and finances .